Dermal Fillers are injections of gel into the skin that can lift and erase lines and wrinkles. They can be used to contour the face and also to create volume where it is needed most. They have changed enormously over the last decade and can be tailored to your specific needs, from the finest fillers for dehydrated skin/the smallest of lines, to more lifting and reshaping treatments. Harrogate Aesthetics uses a wide range of clinically safe, “Gold Standard” fillers. These include Restylane, Radiesse, Ellanse and Belotero. We only ever use bio-degradable, non-permanent fillers. Most are made of Hyaluronic Acid, a natural component of your skin, which helps to rejuvenate collagen and elastin and create a more youthful appearance. 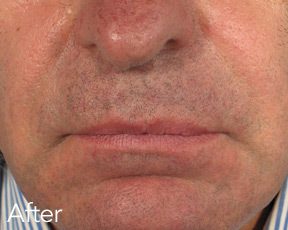 Fillers are a quick, minimally invasive procedure that can achieve a soft and natural look. They can also be used in the lips to restore volume and definition. Results are visible immediately and usually last around 6-9 months. Non-Surgical Rhinoplasty. 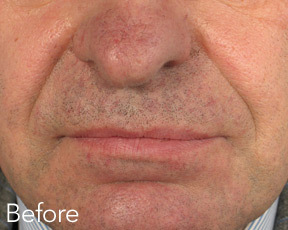 This highly skilled procedure involves injecting dermal filler to precise areas on the nose which can in turn vastly improve the look by appearing to slim, reduce the appearance of bumps and even lift a hooked nose. 8 Point Face Lift. This uses advanced dermal fillers to smooth and re-contour your skin, enhance your natural features and restore volume throughout your face. There is often a little swelling and pinkness to the skin. This usually settles down after a few hours, but may last until the next day (particularly for lip treatments). Bruising can always occur with any type of injection, but we do take steps to minimise this. We will apply make-up following your treatment, to allow you to return to everyday activities immediately. An anaesthetic cream is applied to the skin, then tiny amounts of dermal filler are injected using a very fine needle. This gently lifts the wrinkle or fold to the required level. After the treatment cool packs and a soothing cream are used. This varies from client to client and depends on the area being treated and the volume of filler used. However, treatments generally last from four months to a year. Regular maintenance treatments minimise the amounts of products used at any one time and help to retain a soft, natural look. Today’s modern fillers have a local anaesthetic within the gel. The needle used is very fine and most people find the treatment only mildly uncomfortable.